"TW1" redirects here. For Austrian television channel, see TW1 (Austria). "TW2" redirects here. For the Role-playing video game called The Witcher 2: Assassins of Kings, see The Witcher 2. "TW4" redirects here. For the music group once known as TW4, see Styx (band). 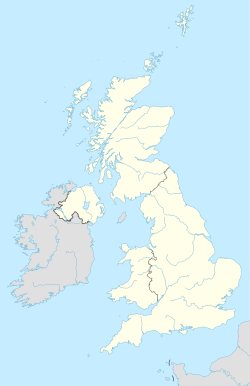 The TW postcode area, also known as the Twickenham postcode area, is a group of 20 postcode districts in England, which are subdivisions of 13 post towns. These postcode districts cover parts of south-west London and north-west Surrey, plus a very small part of Berkshire. Mail for this area is sorted at the Jubilee Mail Centre, Hounslow,[n 1] and the area served includes most of the London Boroughs of Richmond upon Thames and Hounslow, the southernmost part of the London Borough of Hillingdon (including London Heathrow Airport) and very small parts of the Royal Borough of Kingston upon Thames. In Surrey it covers virtually all of the borough of Spelthorne, the northern part of the borough of Runnymede and very small parts of the borough of Elmbridge, and in Berkshire it covers the village of Wraysbury in the Royal Borough of Windsor and Maidenhead. TW postcode area map, showing postcode districts in red and post towns in grey text, with links to nearby GU, KT, SL, SW, UB and W postcode areas. ^ Mail was formerly sorted at Rugby Road, Twickenham. ^ In accordance with WP:UKTOWNS and WP:UKVILLAGES naming settlements with individual articles, excluding sub-neighbourhoods of estates contained in those towns. ^ Twickenham Green and Heathfield, neighbourhoods of Twickenham, are in TW2. ^ Brentford Ait, which is uninhabited, is in the London Borough of Richmond upon Thames. ^ A small part of Ham, in TW10, is in the Royal Borough of Kingston upon Thames. ^ Large residential island Wheatley's Ait, in TW16, is mostly in Elmbridge. ^ Ten riverside houses in TW16 are in the London Borough of Richmond upon Thames. ^ Part of residential island Shepperton Lock Island, in TW17, is in Elmbridge. ^ a b Formerly "STAINES". "New sectors and localities to 20 July 2012" (PDF). Royal Mail Address Management Unit. 20 July 2012. Archived from the original (PDF) on 11 December 2013. Retrieved 18 August 2012.